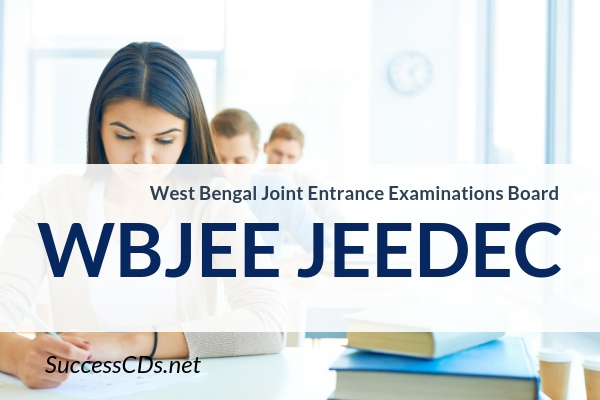 The Joint Entrance Examination for WBJEE JEEDEC 2019 will be organized by the West Bengal Joint Entrance Examination Board (WBJEEB). Candidates can see more regarding more information regarding How to Apply, Important Dates and various other important information by reading the page below. Minimum of 60% marks in above subjects taken together (45% for SC / ST / PWD / OBC-A / OBC-B candidates) having 60% marks in Mathematics (45% for SC/ST/PWD/OBC-A/OBC-B candidates) as well as pass marks in English with a minimum of 30% (for all categories of candidates) in the said qualifying examination. 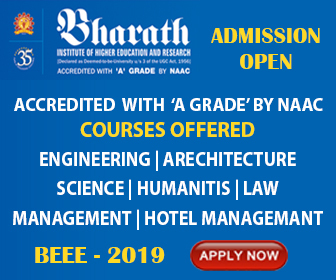 Candidate must have passed with 60% marks (45% marks for SC/ST/PWD/OBCA/OBC-B) in Diploma Examination from UGC recognized Indian University / Government /Statutory Body in Civil, Electrical and Mechanical Engineering. The candidate must also obtain ‘No Objection Certificate’ for the course of study from his/her employer. It should also be noted that the candidate can opt for admission only in the same corresponding Degree course in which he/she has passed his/her Diploma. The paper will contain fifty (50) MCQ (Multiple Choice Question) type questions, with four answer options each. Each question carries 2 marks, full mark of the paper is 100 and duration of the test are 2 hours. Successful candidates are advised to seek detailed information regarding counselling and admission from Jadavpur University. Application for the JEEDEC 2019 has to be made ONLINE only through the web- portal www.wbjeeb.in. For making the application, the candidate needs to have a working mobile number and an email ID. All future communications will be done using them only; the application procedure is interactive in nature. The candidate has to take a print out of the e-challan for payment of fees of Rs. 510/- (Application Fee = Rs. 500/- and Bank Charges = Rs. 10/-). Carry the e-challan to any branch of Allahabad Bank and make payment. After making the payment, the candidate has to login again and enter relevant payment details. At the end of these four steps candidate will “SUBMIT” finally, when system will automatically generate a confirmation page. Admit cards will be generated on the notified date for the student to download and to take a print. Candidate has to carry to the examination centre a printed hard copy of the admit card. Candidates must ensure that the admit card is not mutilated/ distorted/ soiled even by accident. Candidates with such mutilated/ distorted/ soiled admit cards will not be allowed to appear in JEEDEC-2019.